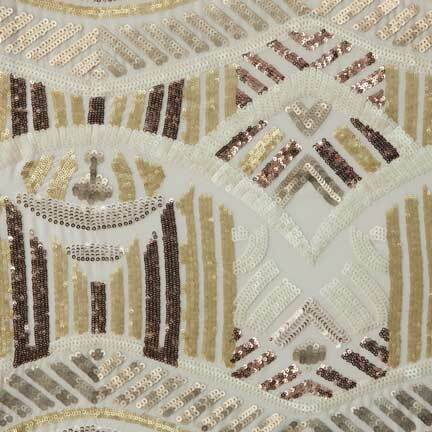 Our luxe Donatella runner features a geometric sequin pattern. Perfect for adding a bit of sparkle to your tabletop. Pairs well with virtually all metals and looks great with our Tiffany Cashmere tablecloth.